Who doesn't love popcorn? This popcorn machine will be a guaranteed hit at your next party or event! We offer a cart for the machine that is rented separately. 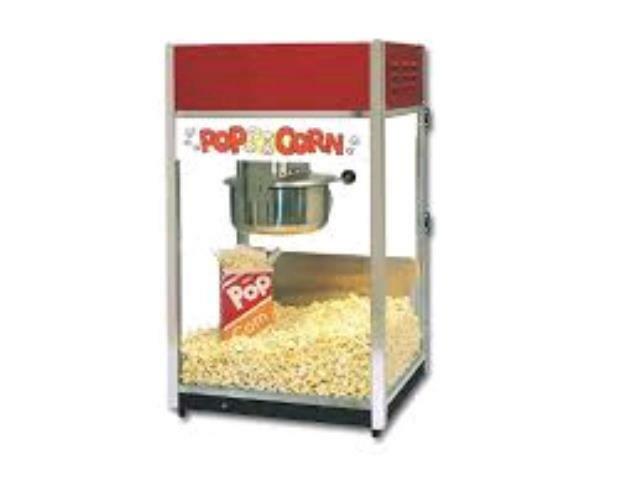 We sell all the supplies you need to make this popcorn machine rental a success! Pre-oiled/buttered popcorn and popcorn bags are sold separately. * Please call us for any questions on our popcorn machine rentals, serving Tampa Bay, Brandon FL, Riverview FL, Seffner FL, & Lakeland Florida.